Plus: Intel vs AMD CPU coolers. 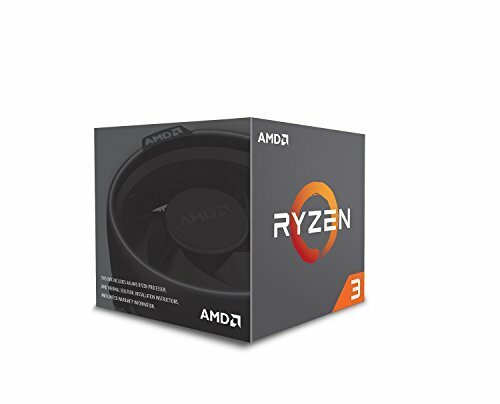 AMD's affordable Ryzen 3 processors have launched! We talk about its specs, price, and performance. And what's up with those mysterious cores inside Threadripper chips? AMD’s budget-friendly Ryzen 3 processors are finally here. In this week’s The Full Nerd, Gordon Mah Ung, Brad Chacos, Melissa Riofrio, and Adam Patrick Murray talk about whether the latest Ryzen chips deserve your money more than Intel’s Core i3 CPUs. Short answer: It depends! The gang also talks about the mysterious extra chips lurking inside AMD’s Threadripper processors, with Gordon bringing the inside scoop from a source in the know. Threadripper’s premium packaging sparks a chat about how hardware boxes could learn a lot from birthday cards. Then we break open those boxes and compare Intel’s stock CPU coolers against AMD’s Wraith coolers. As always, we wrap thing ups by answering several questions straight from you. We’ve embedded the full video above, or you can watch Full Nerd episode 27 on YouTube. (Toss us a follow while you’re over there!) If you prefer just the audio, you can also listen to the Full Nerd on Soundcloud. Have a PC- or gaming-related question? Email thefullnerd@pcworld.com and we’ll try to answer it in the next episode, and be sure to follow PCWorld on Facebook or YouTube to watch the show live and pick our brains in real time.